St. Pete Beach may just be one of Tampa Bay’s best kept secrets. 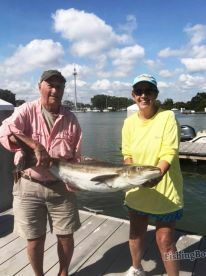 The inshore fishing here is always good, whether you are looking for table fare or a hard fighting foe. While fishing the flats and backwaters you can catch something delicious such as Mackerel, Flounder, and Grouper on occasion. Or you can try your luck at landing a “Grand Slam” by going for Tarpon, Redfish, and Snook. You will find many species biting in Tampa Bay year round. In summer, Tarpon and Snook are the highlight of inshore fishing. You will see Snook in these waters during much of year, mostly emerging in warmer months. 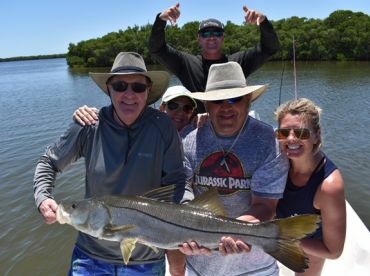 While you can enjoy catch-and-release fishing for Snook anytime, keep in mind that there are certain seasons when you are not allowed to keep this fish. 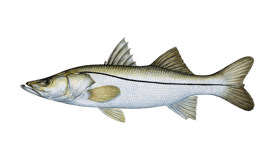 When you are able to harvest Snook and plan to keep one, be sure to purchase a permit ($10, subject to change). You can fish for Tarpon from May through July, and this fish is strictly catch and release. Bull Sharks, Blacktip Sharks, and Bonnethead Sharks provide great fighting action throughout the rest of the year. 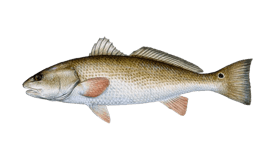 As the weather grows colder in autumn, you will see more Flounder and Sheepshead inshore, with the addition of Gag Grouper. 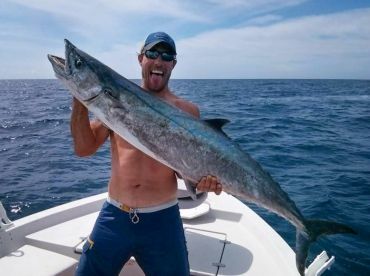 King Mackerel also re-appears in the fall (the first wave passes through in spring), joined by Spanish Mackerel. This is a great time for shark fishing, since Blacktip Sharks follow these fish inshore to feed. 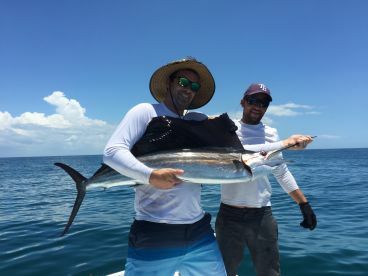 Inshore fishing in St. Pete Beach involves a variety of techniques, such as spinning, live bait fishing, drift fishing, sight fishing, and fly fishing. 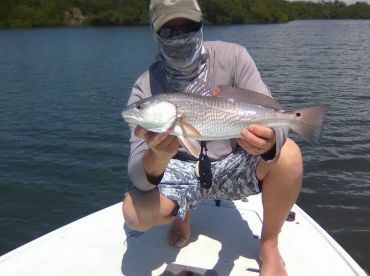 When targeting Tarpon, you might use live Threadfin Herring or crab, as well as dead Shad, depending on the technique and location. You can also target Tarpon on fly, using hefty bucktail streamers or scissor-action feather streamers. Many anglers in Tampa Bay target Snook and Redfish by chumming with Mullet, Sardines, or Threadfins. You can catch both these fish by casting, drift fishing, still fishing, and fly fishing. Live bait can include shrimp, crabs, and small baitfish. 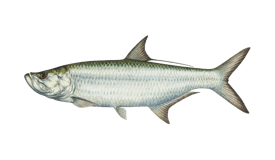 Fishing with dead bait such as Mullet or Ladyfish heads will help you land a large Snook. Anglers also entice Snook with hard lures such as mirror plugs, jerk plugs, topwater plugs, plastic jigs, and spoons. 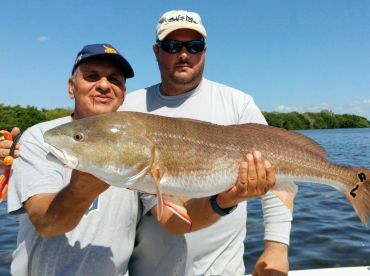 Fly fishermen typically find large streamers and poppers to be effective when targeting both Snook and Redfish. You can target Flounder by bouncing jig heads with soft plastic or live bait fishing with shrimp and whitebait. 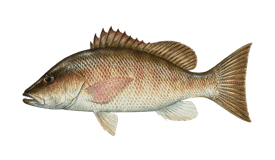 A small hook with a crab or a piece of shrimp will entice a Sheepshead.